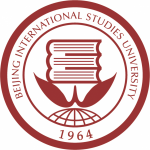 Beijing International Studies University (BISU) was founded in 1964 at the suggestion of China’s late premier Zhou Enlai. BISU boasts a wide range of disciplines such as Literature, Economics, Management and Law, and serves as an important base for training professionals with international horizon and hands-on skills and experiences in foreign affairs, tourism and business for the capital city of Beijing and the nation at large. The late premier Zhou Enlai and the late Vice Premier Chen Yi visited BISU several times and the former President Jiang Zemin wrote an inscription during his visit to BISU. In fact, BISU has been blessed with the support from China’s state leader since its founding.